510 Berkeley Locksmith Service started back in 2009 with the mission to provide excellent locksmith services throughout the Berkeley area. One of the most important facts about 510 Berkeley Locksmith Service is that the company was created with the customer in mind. Like most successful companies, we knew a customer-centered focus would keep us in business. Many locksmith services charge hidden fees and end up being so expensive, it shocks the customer; but not at 510 Berkeley Locksmith Service. 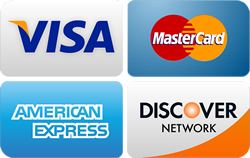 Our service fee is a mere $19, including the price of us coming to you and assessing the problem on-site. The majority of services are $35 and up, depending on the complexity of the lock and the scope of the problem. We always discuss costs with the customer up-front, so you will know what to expect at the end of the service. We believe in quality customer service, and we understand where the customer is coming from. A story many do not know about 510 Berkeley Locksmith Service is that our owner once locked himself out of his car when he was out of town! We understand the frustration that accompanies the need for locksmith services, and we take your situation seriously. 510 Berkeley Locksmith Service has three locksmiths trained and certified to handle a variety of different locks and situations. Another fact about 510 Berkeley Locksmith Service is that we aspire to be the best Berkeley locksmith. We work hard to show up as soon as possible and guide our customers through difficult situations. We can help with residential locksmith services for the home or car, commercial locksmith services, rekeying, car key replacement and repair, and much more. We are a small company, but our size makes us extremely agile and personable. 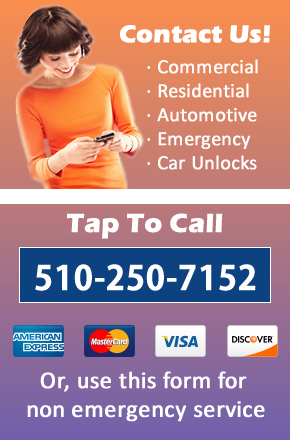 We look forward to being your locksmith of choice in the Berkeley area!